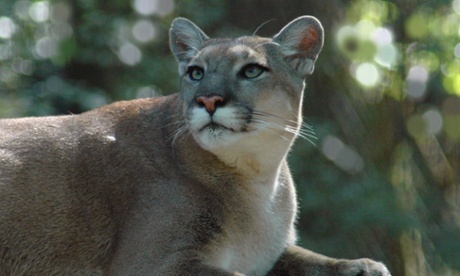 The Florida Panther (Puma concolor coryi) is an endangered subspecies of cougar. Its native range has been reduced to several preserves in southern region of Florida. The panther has had an exciting boost in numbers since eight Texas pumas were introduced to the Florida panther population in 1995. This increase, however, means the panther’s protected habitat must expand. In an initiative by the US Fish an Wildlife Service, the government will pay private landowner’s to keep their cattle pastures and scrubland that border their current roaming range. This incentive hopes to keep landowner’s from selling their land to be developed into subdivisions, highways, etc. Conservationists admit this is a stop-gap measure but further protection of the panther’s habitat requires increasing private landowner’s active participation and the new payment program seems the best place to start. No worries, the animals featured in the video are part of the Big Cat Sanctuary and are not pets.